Several of the voice actors that participated on Ace Combat 7: Skies Unknown will be taking part in an AMA on the Ace Combat Reddit this Saturday. 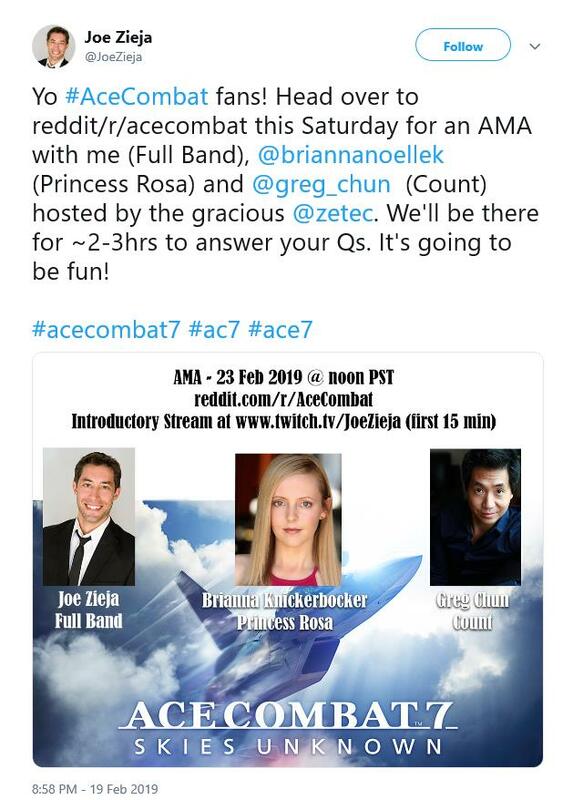 Joel Zieja (Full Band), Brianna Knickerbocker (Princess Rosa) and Greg Chun (Count) will partake in a 2-3 hour ask me anything session starting at 3 PM EST on Saturday, Feb 23rd. All three are prolific voice actors, so if you are a fan of any of them, or Ace Combat games, now is your chance to get some questions asked. Should be fairly entertaining.